Recently, in the medical community there has been a lot of talk about SIBO, a digestive disorder. 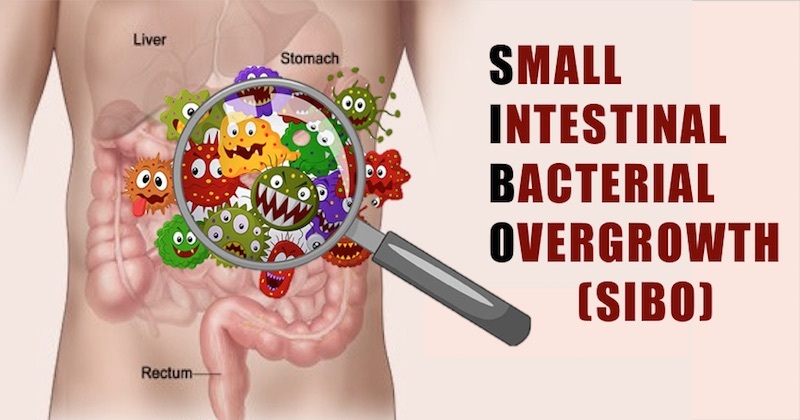 SIBO, otherwise known as Small Intestinal Bacterial Overgrowth, occurs when there’s excess bacteria in the small intestine. The excess bacteria grow from a combination of poor diet, stress, toxicity, and use of antibiotics. The small intestine is where food mixes with digestive juices, as well as nutrients absorbed through the bloodstream. If SIBO is present, the malabsorption of nutrients starts to occur resulting in digestive problems. 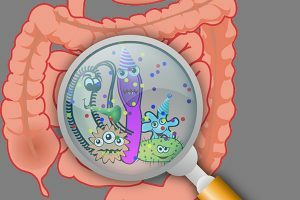 When the bacteria in the gut is balanced, the colon can do its job: digesting foods and absorbing essential nutrients for the body. However, when these bacteria become unbalanced, and bad bacteria takes over the small intestine, this is when SIBO symptoms start to occur such as gas, bloating, and abdominal pain. Combining SIBO with a methylation deficiency such as a MTHFR mutation, can result in chaos throughout the gut. MTHFR mutations cause a deficiency in the methylation system which is needed for proper detoxification, DNA repair, and the expression of genes. Having built up toxins in the body due to a lessened ability to detoxify, can result in a gut filled with dangerous bacteria. One of the main causes of SIBO is having an imbalance of gut bacteria. Recent antibiotic usage or the overuse of antibiotics causes healthy bacteria to die and aggressive “bad” bacteria to grow. These bacteria will eventually take over the small intestine resulting in SIBO. For individuals with MTHFR, it is harder to rid antibiotics from the body, as it is with all toxins. Consider your recent antibiotic usage as a contributor to SIBO. 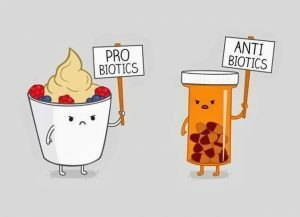 Next time you must take antibiotics, support your gut with probiotics to add those healthy good bacteria back into the gut to rebalance the small intestine. A diet high in sugar could be another contributor to SIBO. Excess carbs may result in feeding Candida or yeast in the body. Candida and yeast issues cause an increase in intestinal parasites as well as the malabsorption of nutrients. Low stomach acid is another root cause of developing SIBO. The usage of PPI medications long-term can reduce the production of stomach acid. PPI medications might aid in the reduction of heart burn symptoms but cause havoc on the gut and intestines. Without adequate levels of stomach acid, the gallbladder and pancreas won’t release their digestive juices and properties resulting in a major disruption in the digestive system. Aging also causes a reduction in stomach acid. If you are over the age of 60, there is a higher chance of reduction in your stomach acid levels. MTHFR mutations cause an impairment in methylation which results in mitochondrial dysfunction (the production of energy). This mitochondrial dysfunction causes lower stomach acid due to the amount of energy needed in the cells that make stomach acid. Heavy metal buildup, chemical toxicity, and stress all affect our mitochondrial production. Therefore, it’s important to supplement the body with methylation support to increase heavy metal detoxification and energy production. Lastly, having gut motility problems contributes to the development of SIBO. Gut motility is defined by the movements of the digestive system (stretching/contracting) and the transport of the contents within. Food allergies can contribute to increased levels of inflammation in the small intestine and colon resulting in reduced gut motility. Constipation also affects gut motility, by building up stool within the colon that eventually causes toxins to seep back into the body. COQ10 is an essential nutrient in the production and support of energy throughout the body. Aiding in the production of mitochondrial energy can result in an increase of stomach acid, and supports balanced gut bacteria. Click here for an MTHFR Friendly COQ10. Digestive enzymes support healthy bile production and contain digestive and antioxidant enzymes which help the body metabolize toxins while supporting the Pancreas and reducing inflammation throughout the digestive tract. Click here for more information on Digestive Enzymes. L-Methylfolate and Methyl-B12s are needed to support the methylation system which in turn supports energy production and the detoxification of heavy metals and chemical toxins. Reducing toxins and bad bacteria is an essential step in ridding the body of digestive issues such as SIBO. Click here for an MTHFR Friendly B Complex. Know your MTHFR gene mutation? Take our survey to find out more about your specific mutation.